Bula! Almost from the moment my flight touched down in Nadi airport, I realised that this greeting of Fiji is usually offered with a wide smile and warm handshake. It’s something that I’d enjoy time and again with the locals over the next 16 days. As most international visitors do, I arrived in Nadi (pronounced Nan-di) on the main island of Viti Levu. Unfortunately for many tourists Nadi is little more than a transportation hub that they pass through twice whether they like it or not. It isn't an idyllic snapshot of Fiji and apart from the colourful Sri Siva Subramaniya Swami (say that ten times quickly) Temple, it's only really a place for souvenir shopping. I had the choice of staying in Nadi or going 30 km north to Lautoka which I decided was a better option. Lautoka is a bigger city but with a more relaxed feel to it. 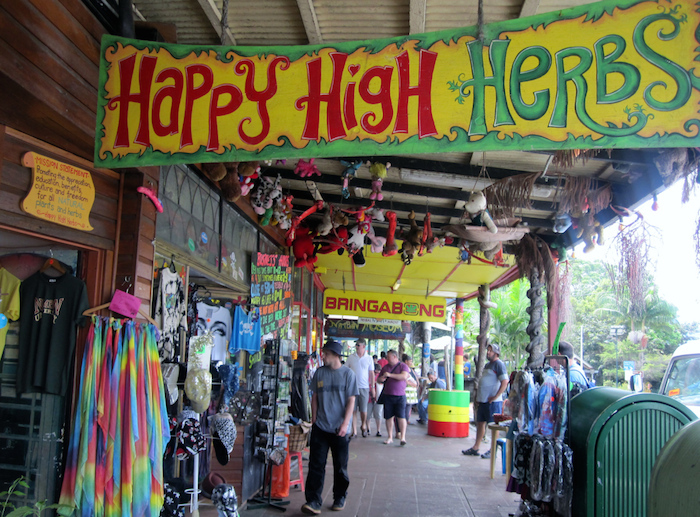 According to legend, it derives its name from a battle cry that means 'spear-hit' but the people are friendly and the shopkeepers aren't constantly trying to get you in to 'just take a look'. I stayed just a night there before taking the northern Kings Rd around the island to Suva. Viti Levu has a dividing range of mountains and two distinct weather patterns. In the drier western side there were a lot of sugar cane plantations and grassland areas but as we progressed east and over the mountains the scenery became dominated by lush rainforest. There were some nice ocean views along the way, especially near Viti Levu Bay on the northern part of the island. When I arrived in Nadi it was pouring with rain but they assured me at the airport information desk it wouldn't last long. Ten minutes later as I waited for my bus a rainbow stretched across the sky and sun broke through. I was happy that it was a mostly dry day going to Suva because the middle part of the Kings Road is very much a work in progress. I wondered as the bus rumbled up unsealed clay roads what it would like in heavy rain. My guess is that it would become an impassable slope of mud. The road took me through some pretty little villages and past a few schools. The houses were all very modest and some areas didn't even appear to have electricity. But I sensed that the local people took pride in the place they called home. Lawns were neatly cut with plants and flowers in the garden. 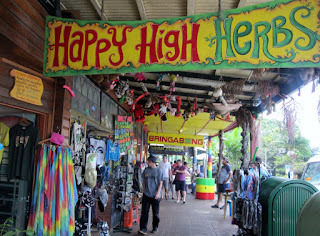 Fijians are content and happy people even if they don't have a lot. I realised as I continued my travels that they are happy to share whatever they do have and this was always very endearing. I was in a rather poor state when it was finished but it was a lot of fun seeing them running, laughing, scoring the occasional try and following it with high fives. I loved the children there because I could relax with them. They are always happy and it's not in their nature to ask for anything other than my name and where I'm from. In fact, apart from a few exceptions in the cities it was the same whoever I talked to. I never had to be too concerned about people subtly trying to sell me something. They are just genuinely warm and friendly which made every day so enjoyable. Another trip that I’ve done while living in Brisbane is back to the southwest of Australia to hike the Bibbulmun Track. This is one of the world's great long-distance walking trails, stretching nearly 1000km from the Kalamunda National Park near Perth down to Albany on the southern coast of WA. It is the equivalent of walking from Paris to Rome and completion of this epic hike earns induction into the prestigious "End to End" club. As I started from Perth on a hot February day, I wondered what was ahead of me. It would take me 48 days but the answer was an amazing adventure that would take me through the heart of some of the most beautiful forests and across some of the finest beaches that Australia has to offer. It would test me both physically and mentally but give incredible rewards. The Bibbulmun Track can be walked in either direction but it is like a well cut jewel that shines whichever way it is approached. 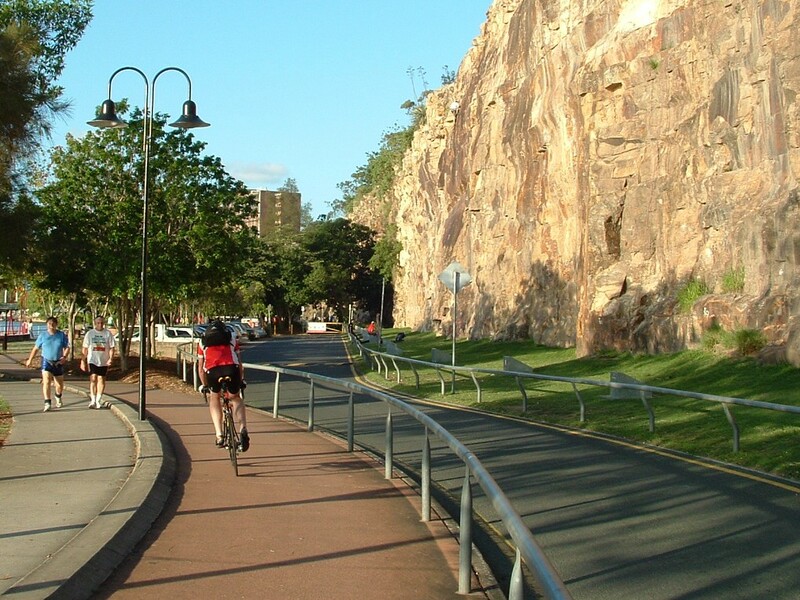 The scenery through the northern section was characterised by forests of jarrah and marri trees, granite outcrops and various native bushes. Comfortable nights were spent at campsites with a wooden shelter, drinking water, fireplace and the all important bush toilet. The huge karri trees of southwest Australia are a highlight of the track. I was in awe of their size and majesty. After 730km of hiking through forests, bush, mountains and valleys I finally arrived at the coast. The crashing waves of the Southern Ocean added a new dimension to my adventure although the superb coastal views were sometimes hard earned as I slogged through the sand dunes! I will never forget arriving at Albany. I had made it! Along the way I had enjoyed spectacular scenery and seen a variety of wildlife. For seven weeks I was blessed with a serenity that is virtually impossible in our busy lives. The beautiful environment let me to contemplate, reflect and dream. Just like Australia itself, the Bibbulmun Track was a unique and very special experience. 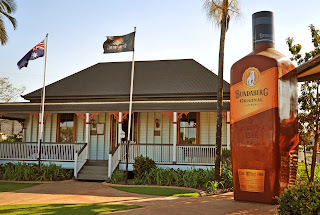 On a weekend away from Brisbane, I went on a road trip with a friend to the city of Bundaberg. 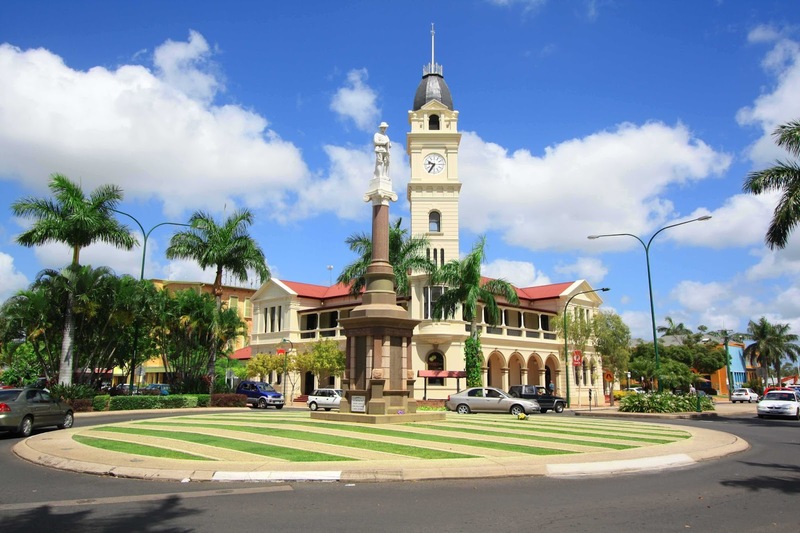 This old-fashioned country town is firmly on the east coast budget travel trail because of the abundant fruit-picking and farm work. On my travels I met many backpackers who were doing three months of harvest work to claim a second year on their working holiday visa. 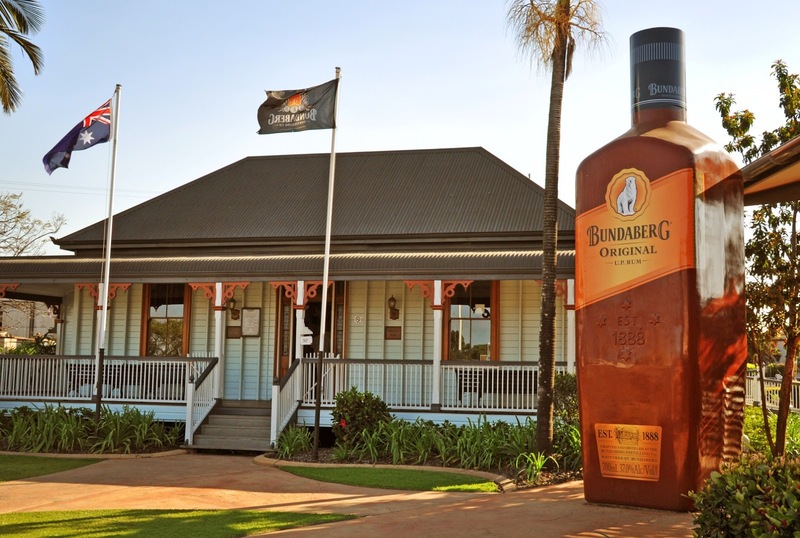 ‘Bundy’, as it is usually referred to, is a popular destination for this reason alone but its biggest claim to fame is the iconic Bundaberg rum that is made at the distillery here. It was a leisurely journey so we only arrived late in the day. 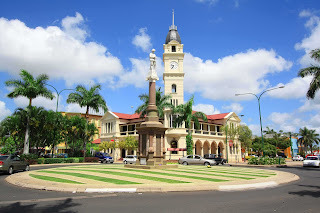 Enough time to visit the Botanic Gardens and take a stroll down the wide, palm-lined main street. What we really wanted to do though was get to the beach of Mon Repos, about 15km north of the city. There was no rush though because we were going to see the female loggerhead turtles that come ashore and lay their eggs in the dead of night. What we didn’t realise though is that advanced bookings are generally required. I thought we were going to miss out but the visitor centre staff were very obliging and included us in a group led by volunteers. We were grateful for being able to witness one of nature’s unique events so up close and personal. From the moment a turtle was spotted emerging from the ocean, we followed it at a respectful distance as she lumbered up the sand. At her chosen nesting site, we watched as she scooped a shallow hole in the sand with her flippers and laid nearly 100 eggs. Seemingly oblivious to the attention, she then covered them over before returning to the ocean. We were told that about eight weeks later the turtle hatchlings will come out from the eggs and dig their way to the surface. Under the same cover of darkness that they were placed there, they then emerge en masse and scurry down the sand to the water as quickly their little flippers will carry them. In the ocean it’s a brave life or death struggle for survival and the few females that make it to maturity will eventually return to exactly the same beach to continue the cycle.